A good quality product. Well built using quality materials. Great value for money, vast array of features. The device guides you through the functionality making it easy to use. 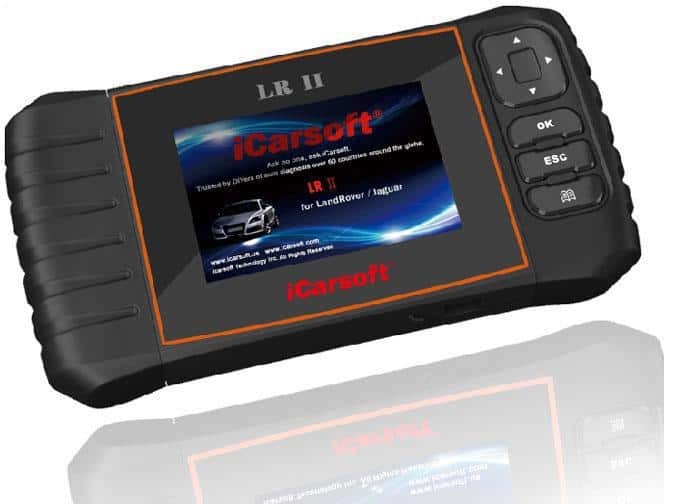 The iCarsoft LR II is an affordable vehicle fault diagnostic tool for Land Rovers and Jaguars. It’s both easy to use and effective in diagnosing problems and clearing fault codes. The tool has a range of features and benefits which make it an attractive option for professionals and DIYers. This review will touch on some important points you need to know and provide a summary of features. This will help you decide whether the iCarsoft LR II is the right diagnostic tool for you. Vehicle diagnostic tools are necessary because of the complexity of onboard computer systems in modern cars. 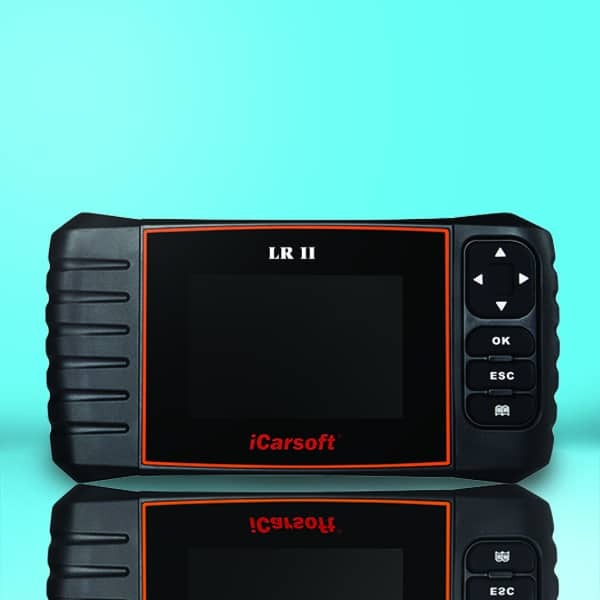 The iCarsoft LR II was designed specifically for a range of Land Rovers and Jaguars. Check here to see if your Land Rover model is covered and here for your Jaguar before buying this product. The LR II is a powerful tool which reads and graphs live data to identify fault codes on a vast range of the vehicle systems. The tool is then able to clear and reset the trouble codes. The LR II will save you thousands in hefty labor charges with this function alone. The product doesn’t do any programming, but it will help you figure out what’s wrong with your car. This is done without spending a fortune on parts that you may not even need. Traditionally this kind of tool was only found in the workshops of certified dealers. Now that it’s widely available it’s a ‘must have’ item for any compliant Land Rover or Jaguar owner. When you unpack your LR II box you’ll find the main unit scan tool with a comprehensive user manual. The main OBD-II cable will connect the tool to your vehicle. A USB cable connects the device to your PC for software updates. The TF card reader and card which stores all software and information is included. It also comes with a handy nylon carry case to keep your scanner safe from damage. The LR II applies to most models which are equipped with OBDII-16 DLC. It has so many features that it’s not possible to list all of them here. We’ve highlighted the ones we think are most useful instead. It’s important however to remember that functions are vehicle dependent and therefore won’t apply to all cars. In addition to the above it also has a 2.0 USB for high speed upgrades which can also be done via the TF card. The unit has dome keys, a clear led screen and multi-language support making it easy to use. The iCarsoft NR II is powerful and accurate, it tests almost every system in your vehicle making sure it’s healthy. Regular checkups will give you peace of mind and save you loads of time and money. This tool is so useful that we believe it should come standard with every Land Rover and Jag. If you’re looking to stay away from expensive dealerships, get one of these nifty tools to help you diagnose problems as they come up.